Viewing workers as change agents. In an era of transformation, transforming skillsets is critical to staying competitive. Taking one solution and applying it across the plant. Influential women, secure systems and proper pricing. Recognizing trends, honoring the trend-setters. 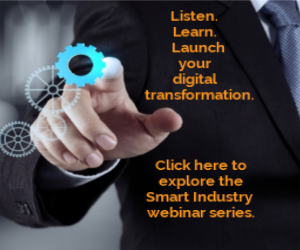 A global showcase for industrial digital transformation. Implementing the Design For Manufacturing technique. Celebrating—in person—with the inaugural class. Realizing production agility with 3DP. Tech from aeronautical engineering applied to outback riding. Organizations are unclear where to start with the digital thread. The Becnel brothers use digital duplication to develop aircraft electronics. Are you manufacturing with that in mind? Making sure suppliers keep up with your growth. Machine failure is not an option in today’s digital world.